The John F. Kennedy 50-Mile Run has been a part of the community of Washington County, Maryland since 1963 when then-President Kennedy challenged Americans to roll off their couches and get in shape. Being able to run (and walk) 50 miles in one day became the litmus test for good physical conditioning. I took up the challenge for the first time in November 1984, at the age of 37. The race was, of course, a lot more grueling than I realized. Off and on since then I have entered it many times and finished it all but one. During many of these races, I was able to stay focused by raising funds for a number of church organizations. In addition to asking for a financial pledge, I requested that they pray for me. By knowing that particular individuals were holding me in the Light on race day, I experienced a sense of community that made the difference between “hanging in there” and dropping out. The support of friends who shared a common interest in the ministry for which I was running was a powerful incentive for me. Some of them even showed up on race day, enduring the elements to say an encouraging word. They would wait along the course at a rest station; and when I passed by, their presence lightened my load considerably. But most folks simply remembered me from their homes or work-places. And as I jogged along, the image of their faces would come to my mind, refreshing my spirit. I was learning the meaning of Isaiah’s words in a new way: “They that wait upon the Lord shall renew their strength. They shall mount up with wings like eagles. They shall run and not be weary. They shall walk and not faint” (Isaiah 40:31). But there was something else that was equally significant. This was not simply a run – it was a race. Someone would win, leaving all the rest of us behind. This was a competition. Only the strong and persistent would survive. And even if most of the runners were not elite, we each had our goals – what time we hoped to cross the finish line. As I would start the race each time, I felt very competitive, comparing my chances with the others. It’s the kind of thing I experienced at other road races. But in this race, somewhere along the difficult and long course, the sense of competitiveness melted away. Perhaps the course drives it out of you. Perhaps seeing the same runners over and over again all day long invites conversation. I don’t know what it is. But somewhere along the course, I experienced the gift of community among the runners. We were all in this race together. We were part of the human race, and it was no longer a “dog-eat-dog” world. The task became a common one of encouragement. “Looking good!” I would hear as I passed someone late in the day. And I found myself feeling compassion for these fellow runners on this same path. “Hang in there!” I would say to a runner who was limping along the trail. “Keep it up!” I would say to another who passed me by. The barriers that separated us in our quest to run our personal best were breaking down as we worked together toward the common goal of finishing. It was as if we wanted to be able to say, to paraphrase the Apostle Paul: “We have fought the good fight, we have finished the race, we have kept the faith” (2 Timothy 4:8). I remembered these gifts of community as I signed up this Spring to run the JFK 50 for possibly the last time. I will be 67 when the race is run on Saturday, November 22, 2014. I’m not getting any younger. And I’ve noticed that the pace of my daily runs has slowed significantly. I’m not the “spring chicken” I used to be. The JFK gets tougher each year for me. Perhaps it’s time for me to hang it up, to let the younger runners carry on. I certainly have proved my fitness. If I do finish, I’ll be grateful to have run the course within the required 14-hour time limit. 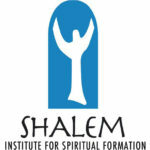 And then I remembered Shalem Institute. Here is a ministry that has certainly shaped my life. Here are people with a vision for the church and the world that gives hope for the future. They call us to a life of simple, open presence to the Spirit that leads to acts of compassion, of deep listening, of faithful trust. As a graduate of their extension programs in retreat leadership and spiritual guidance, and as one who has been blessed by returning each year to the Shalem Society gatherings, I want to support their ongoing work. So I decided to dedicate this upcoming 50-mile run to Shalem. I will be taking pledges for every mile I run. If you would like to be a part of this “running” community, you can join me on race day with your prayers and financial gifts to this wonderful, life-changing ministry. Ed Poling, a graduate of Shalem’s Spiritual Guidance Program and Leading Contemplative Prayer Groups & Retreats Program as well as a member of Shalem’s Society for Contemplative Leadership, will be running 50 miles on Saturday, November 22, 2014 to raise funds for Shalem’s young adult programs and participation.